When a disruptive technology emerges, it is often met with skepticism. A good case in point is ForeScout CounterACT®. It’s gaining a lot of traction in cybersecurity circles, with more than 2,000 large and medium enterprises and government agencies worldwide using the product as of April 2016. 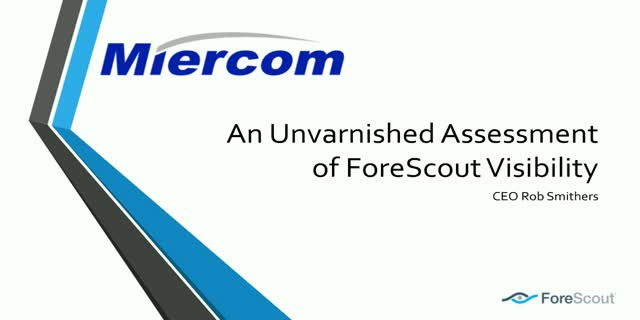 But for those IT professionals who might think its capabilities are too good to be true, ForeScout enlisted Miercom, a leading independent testing and consultancy, to provide unbiased, hands-on testing of CounterACT capabilities. Miercom’s findings are what this webinar is all about.